The Reflections Solid Top units are ideal for use as worktops, for plating and for sandwich and salad preparation. 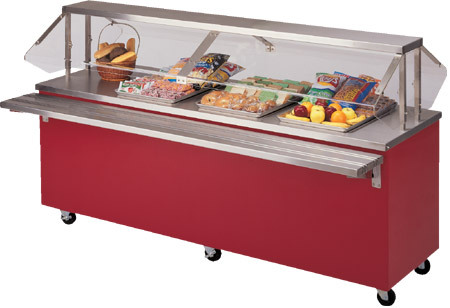 This unit can also be used as a counter for other serving and merchandising needs. The design allows it to be used in a cafeteria or buffet line-up, choosing the options and accessories that you need. All Reflections units are compatible and will interlock with other Reflections units.